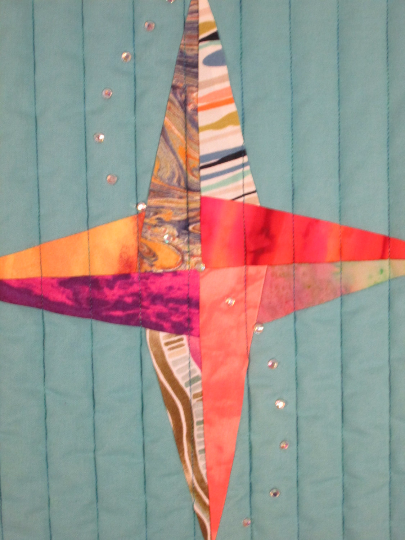 Offering this one of a kind art quilt wall hanging titled Spinning Stars. 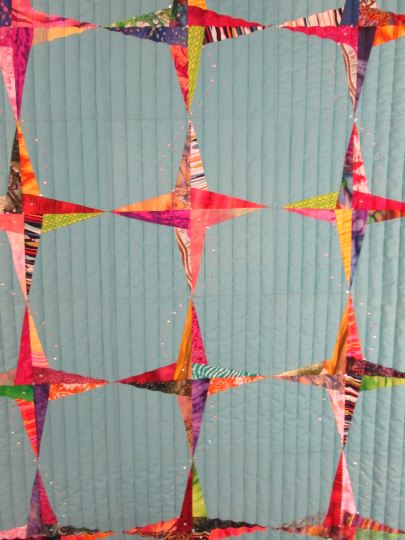 Background is a soft aqua, pieced with colorful scrappy stars. 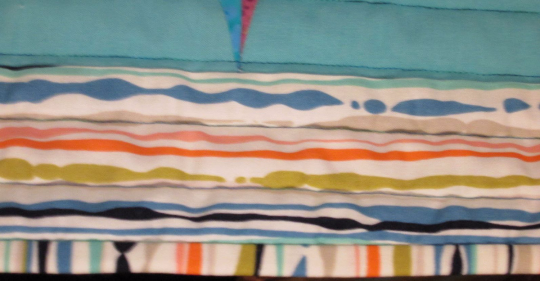 Border is an abstract multi color stripe on white. 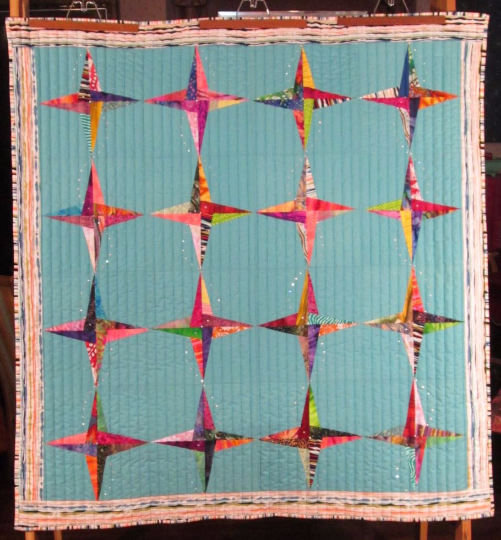 Quilted with modern vertical lines, and adorned with sparkling crystals to make the stars look like they are spinning as they rise up. Measures 50x53", comes with hanging sleeve on back. Backing is pale light blue. 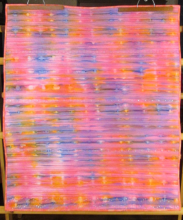 Great for any décor! Made in my shop in Caldwell, Ohio. International shipping costs will be calculated at time of purchase. 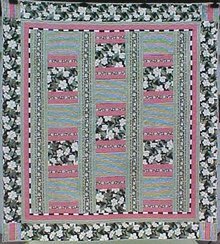 Items Similar To "Art Quilt Spinning Stars Abstract Rhinestones"